Interpersonal Skills - List, Examples & What You Need To Know! Interpersonal skills are the skills required to effectively communicate, interact, and work with individuals and groups. Those with good interpersonal skills are strong verbal and non-verbal communicators and are often considered to be “good with people”. Whether in your career or personal life, these skills are important for success. Most of what we do in life requires interaction with other people. In order to be successful in your career or have meaningful friendships, it’s critical to be good at getting along with others. While interpersonal skills are often considered to be something that comes naturally, that you’re either blessed with or not, the truth is that they can be learned. When preparing a job application the natural tendency is to focus on technical skills. It’s only natural, as most job descriptions focus on specific requirements like accounting, finance, Excel, financial modeling, coding, programming, and related skills. However, most hiring managers actually make their decision based on soft skills, even though they talk about all the technical skills required. According to a recent LinkedIn survey of 291 hiring managers, interpersonal skills may not only be more important, but they are also very hard to find (59% of managers reported they have trouble finding people with the right soft skills). The table below summarizes some key differences between technical and soft skills. The cover letter is actually a better place to focus on soft skills than the resume. The reason is that interpersonal skills are best demonstrated with stories and examples, which fit more naturally in a cover letter. It’s literally as easy as that! If you follow the three steps above you’ll be able to naturally and elegantly incorporate soft skills into your cover letter and increase your chances of getting the job. When preparing your resumeResumeFollow industry guidelines & best practices when submitting your cover letter & resume to a corporate finance job. 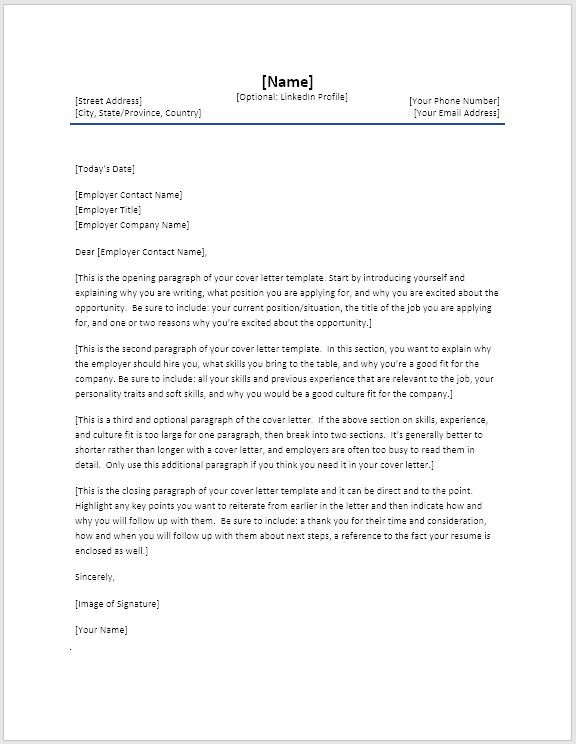 Download resumes and cover letter templates to be prepared for your job application. These resumes are designed to give you the best shot of being selected for an interview and cover letter for a job application, it’s important to ensure you have an appropriate amount of people skills. Listening wellListening SkillsEffective listening skills mean being able to display interest in the topic discussed and being able to understand the information provided by the speaker. In today’s society, the ability to communicate effectively is becoming increasingly important. Networking and building relationshipsNetworking and Building Relationships (Part 1)This article is part of a series of useful tips to help you find success in networking within your company. Networking plays an important part in our professional lives, starting from our job search, contiuing to joining and working in a company, and finally, advancing our careers. It all starts with self-awareness. Simply by reading this article, you’re already going to be more aware of your interpersonal skills going forward. From now on, whenever you’re in a group setting or a situation that involves discussion, emotion, decisions, and human interaction, pay close attention to your behavior, and how others perceive or react to your behavior. Repeat this process for a while until you have a solid understanding of how you behave in interpersonal settings. Watch this short video to quickly understand the main concepts covered in this guide, including what interpersonal skills are, why they matter, comparison between technical and soft skills, and how to incorporate interpersonal skills into your cover letter.